Commercial, Residential Planning & Building Kensington and Chelsea SW | Quality Property Care Ltd.
Get your dream office or home, call our professional builders company at 020 3746 4287 and get our experts on the job. We work on weekends, weekdays for offices, domestic clients, landlords, tenants and property managers. All of our builders are certified and fully capable, with all the necessary certificates, special training and safety equipment to perform construction in the Greater London area. We offer a full bathroom, kitchen and basement refurbishment and general home refurbishment along with office refurbishment. In cases of end of client lease we handle replacement of wall finishes, the replacement of floor coverings, the repair and replacement of suspended ceilings, change of layout of entire floors including the removal & construction of partition walls. We can fully reconfigure lightning and all kind of electrics, as well as do full upgrade or refurbishment of any office bathrooms, washrooms or toilet cubicles. For the updating & modernizing of existing premises we can create conference and meeting facilities, staff areas and canteens and tea points, work with decorations, wall finishes and flooring and bring in new office furniture. Wallpapering process includes a wide range of things, like the proper estimation of how many rolls of wall paper are required to cover the square footage of walls. We also deal with removing any old wallpapers from the wall, lining walls with lining paper, measuring and cutting wallpapers, hanging said wallpapers on the wall, dealing with the creases around door frames, wallpapering behind radiators, wallpapering around internal and external corners, dealing with light switches and sockets, wallpapering around staircases and the wallpapering around window frames. In the service we include plastering, wall boarding, rendering. We hire only well-trained and experienced technicians. They can give you a hand in bathroom and kitchen remodelling, painting and decorating, tiling, installing solid wood floorings, all types of electrical works from minor tasks to complete rewiring, all types of plumbing works from minor tasks through redesign of the plumbing system to gas related plumbing jobs. 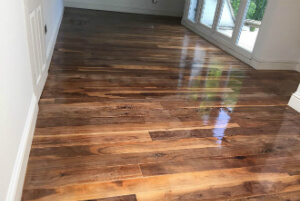 For more than 15 years, Quality Property Care Ltd. has been offering the tenants, business or property agents, home owners and landlords in Kensington and Chelsea SW a full range of high quality, professional builders services. From total refurbishments of entire hotels and office buildings to repainting bedrooms, the company provides professional builders services, no matter whether the job is small or big. Offering all kinds of renovation & refurbishment services, the company has hired the perfect people to offer them to you in accordance to your requirements and your price range. Whatever property improvement you need, the experts in planning & building will answer your requirements and surpass your jobs. So, whatever you need from painting and decorating, tiling, kitchen and bathroom remodelling, all types of plumbing works from minor tasks through redesign of the plumbing system to gas related plumbing jobs, installing solid wood floorings, all types of electrical works and from minor tasks to complete rewiring, the company can offer it to you at affordable costs and with a top quality guarantee. 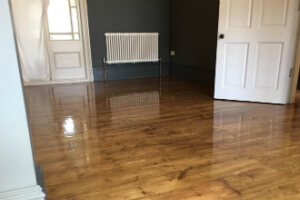 With this service you can get the most effective tiling work done from Quality Property Care Ltd. for the entire Kensington and Chelsea SW area. We work with porcelain, quartz, ceramic, terracotta, mosaics and quarry from natural stone tiles which include slate, marble, clay products, granite, travertine, limestone. In general our tradesmen work both in homes and commercial settings, tilling walls and floors, sealing and grouting and re-sealing surfaces. For walls and floors we work with natural stone tiles, ceramic and porcelain, deal with installing floors and wall tiles, applying mosaic tiles, installing tile borders, tilling a splash back and part-tiling walls to achieve a certain effect. For grouting we use the best materials, usually anti-fungal and anti-bacterial. The service covers the grouting of tiles, replacing and removing of grout, applying wall tiles grout, repairing grout cracks and applying floor tiles grout. With our customer support and a dedicated team we can guarantee a hassle free experience regardless the size of your project, we accommodate them all. Make your dream remodel come true, call 020 3746 4287 for the best professional builders service in Kensington and Chelsea SW. Fully certified, trained and insured our team is capable of making your vision into a reality, regardless if home or office refurbishment, we can do it all.